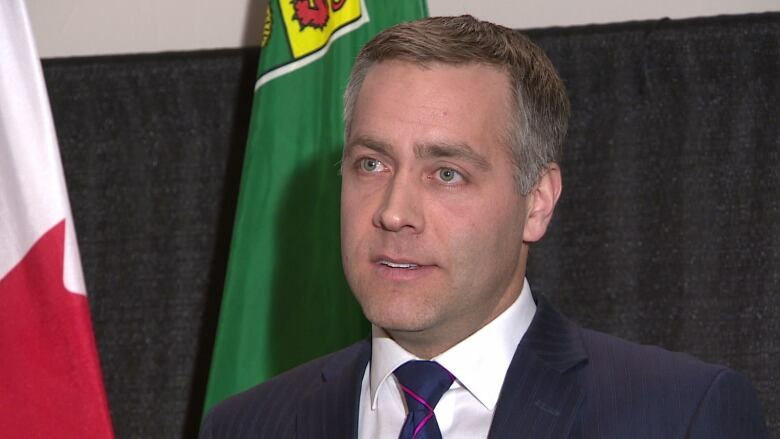 NDP leader Cam Broten is calling for a judicial inquiry into the purchase of more than 200 acres of land that will be used for the west Regina bypass and an access interchange to the Global Transportation Hub (GTH). The call for the inquiry comes after CBC Saskatchewan's iTeam reported that the provincial Highways Ministry expropriated land for as little as 1/4 the amount the GTH paid for neighbouring land. "This is absolutely disgusting," said NDP Leader Cam Broten in a news release. In March 2014, the GTH, a Crown corporation, paid $103,000 per acre for 204 acres of land. Eighteen months later, the highways ministry expropriated two parcels of neighbouring land owned by businessman Rudy Balzer for $25,000 and $42,000 per acre respectively. The province has previously told CBC that the GTH paid what it did for its 204 acres of land because the price of land was increasing at the time. Broten says this latest story proves that's not the case. "The reality is that the price of land in that area wasn't going up at that time," said Broten. The government noted the GTH doesn't have the power of expropriation, and it has to compete for land on the open market. It also said the seller who ended up getting $103,000 per acre had earlier provided the GTH with an appraisal indicating the land was worth $125,000 per acre. About 204 acres of land west of Regina was purchased by the Crown-owned Global Transportation Hub in 2014. In response to the call for an inquiry, a government spokesperson said Thursday the provincial auditor is already looking into the matter. "This is the independent review process the NDP originally asked for, and that's what we are doing," Karen Hill, a media relations officer with executive council and the Premier's office, said in an email to Saskatchewan media outlets. "Now, on the eve of an election with their poll numbers dropping, the NDP are getting desperate, and making wild some allegations."